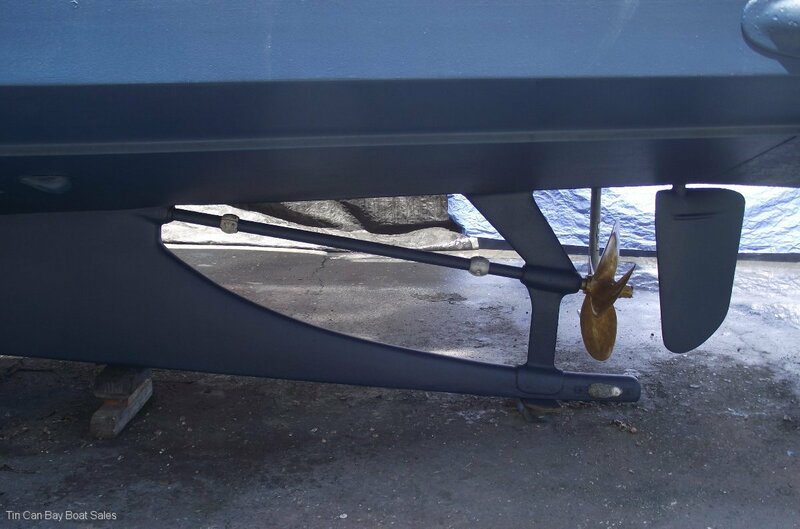 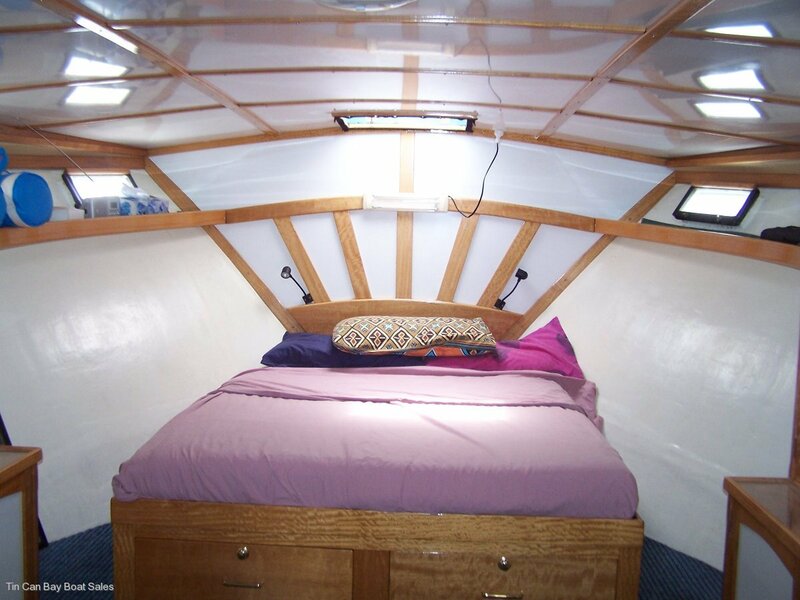 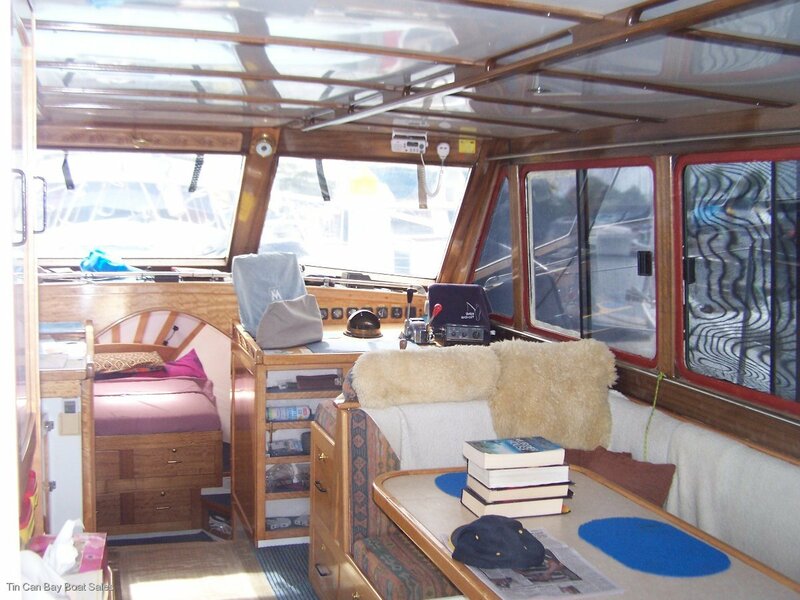 For those who want the space to move and prefer dual steering positions this Bob Brett built boat is tailor made. 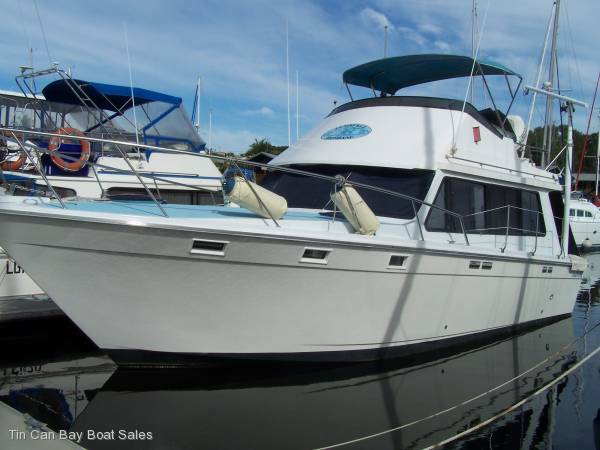 Open layout flybridge cruiser, with features that include: dual helms with updated electronics on both stations. 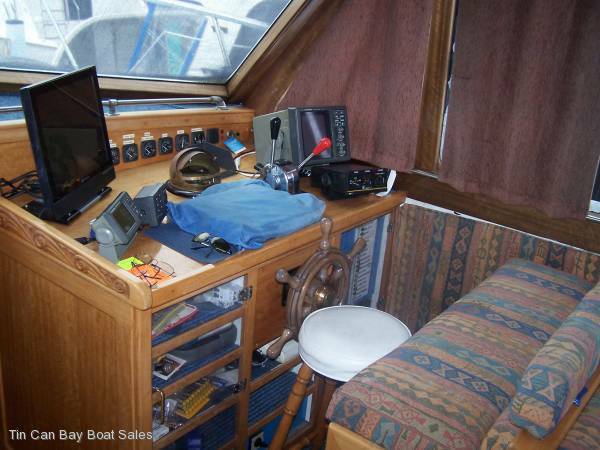 New Lorenz C map GPS plotter, new AP4 autopilot, new Icom VHF, Furuno depth sounder and new Furuno GPS backup, and remote anchor winch. 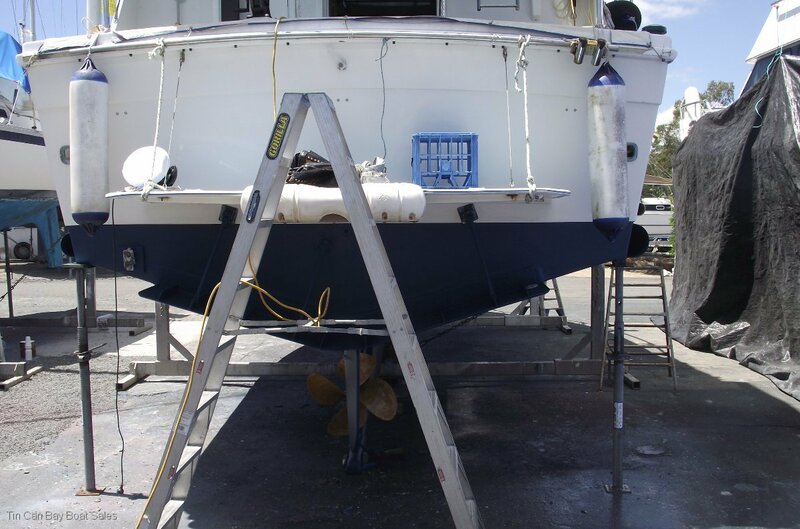 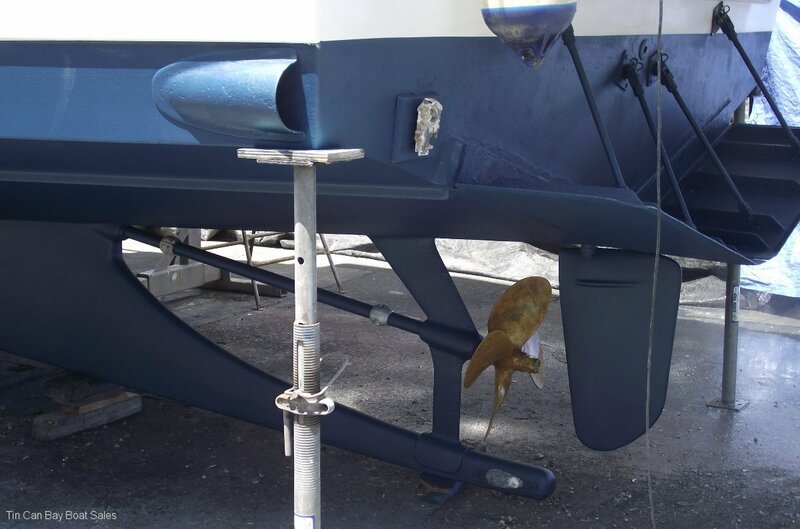 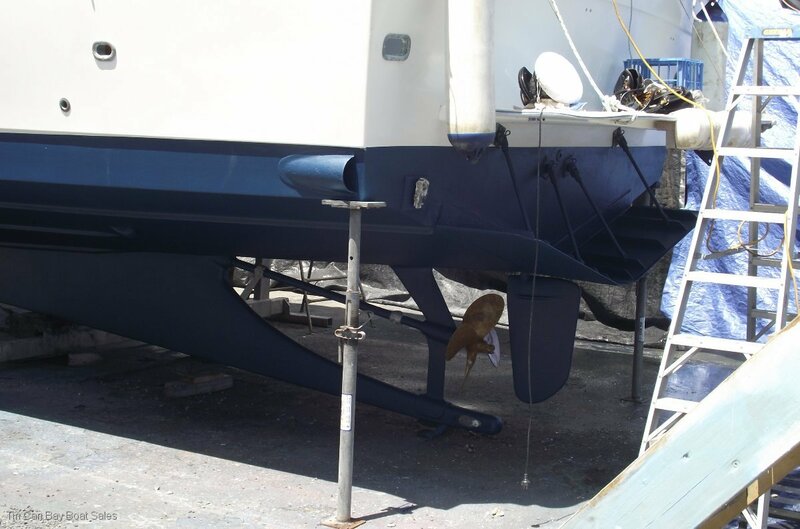 Well maintained and recently antifouled and polished. 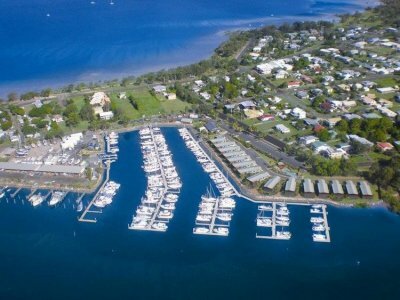 12m berth at Tin Can Bay Marina with lease till January 2024 also available. 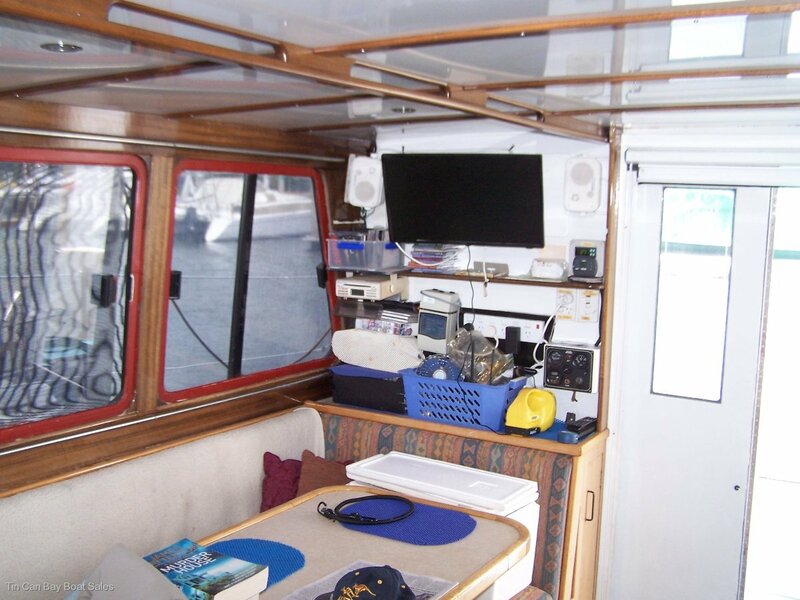 Waeco electric fridge and freezer recently installed to replace the eutectic system. 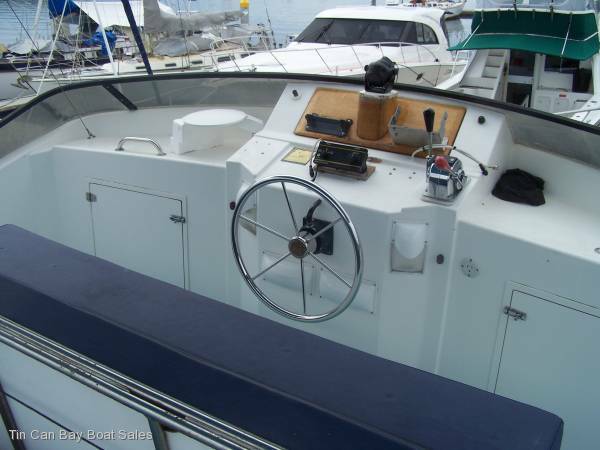 Well set up boat with good electronics and a reliable Catapillar turbo diesel that allows reasonable economy at cruising speeds. 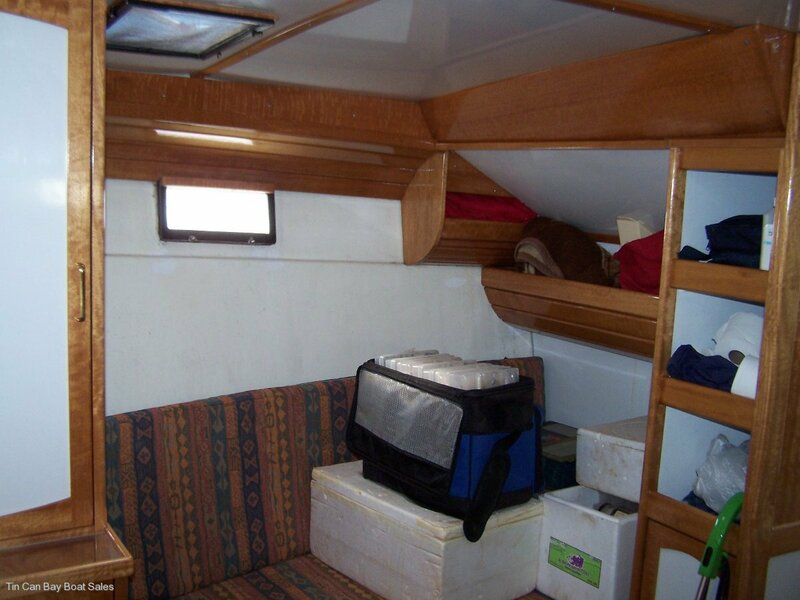 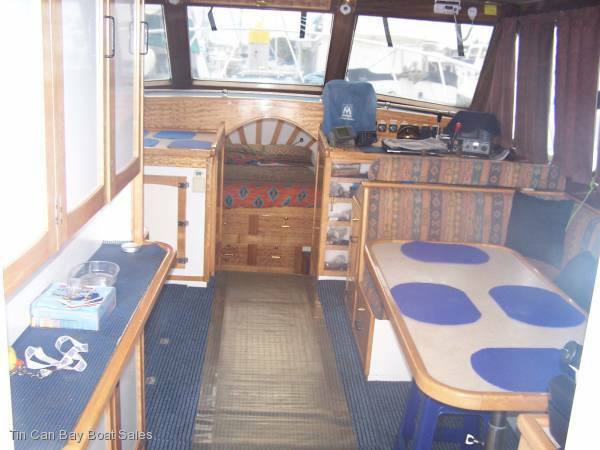 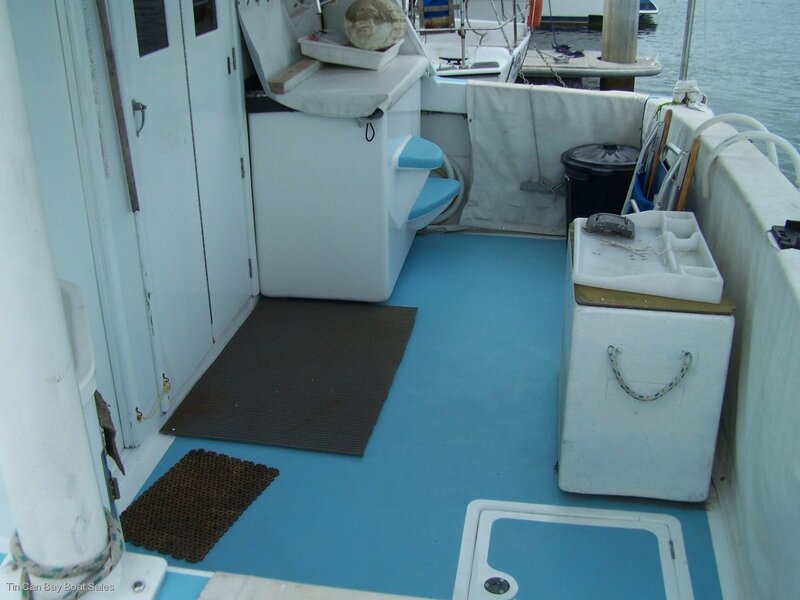 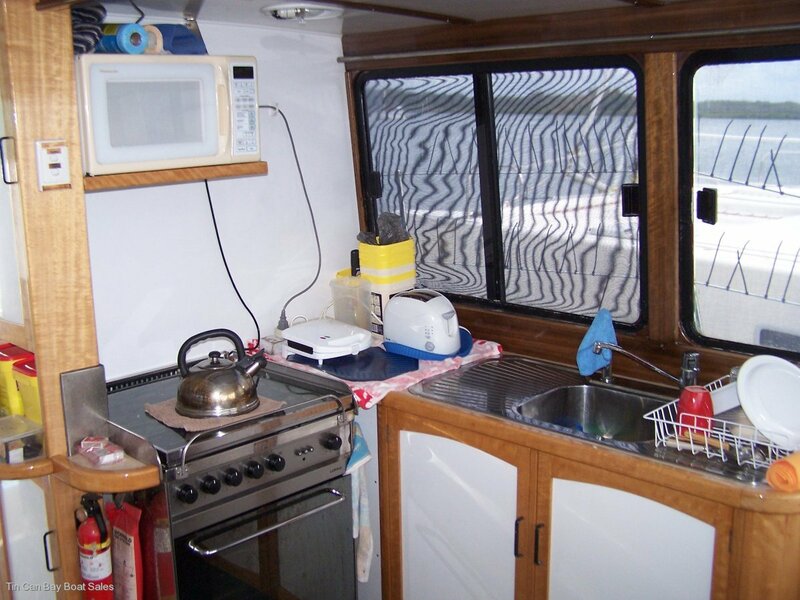 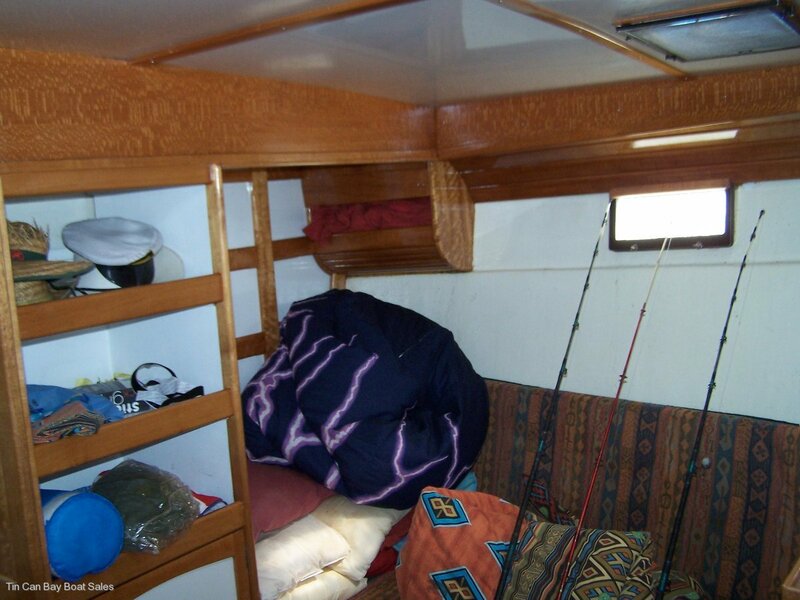 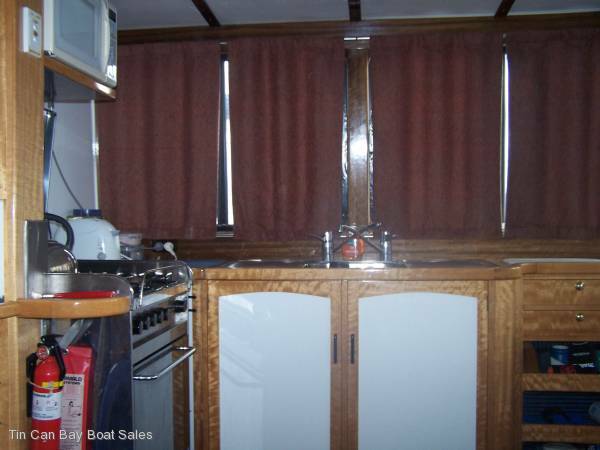 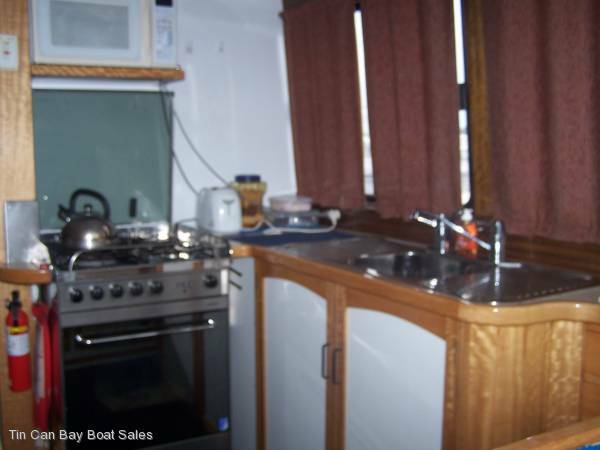 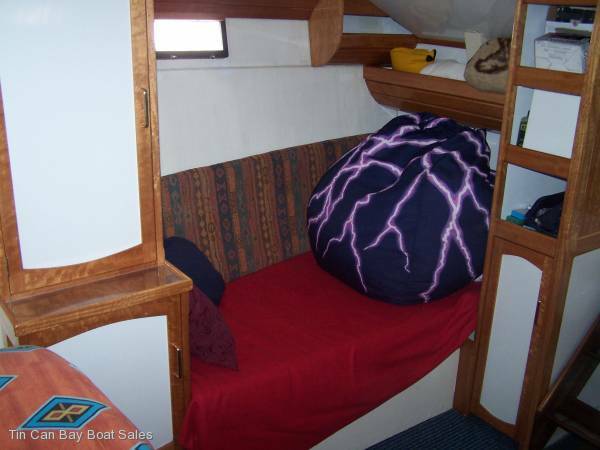 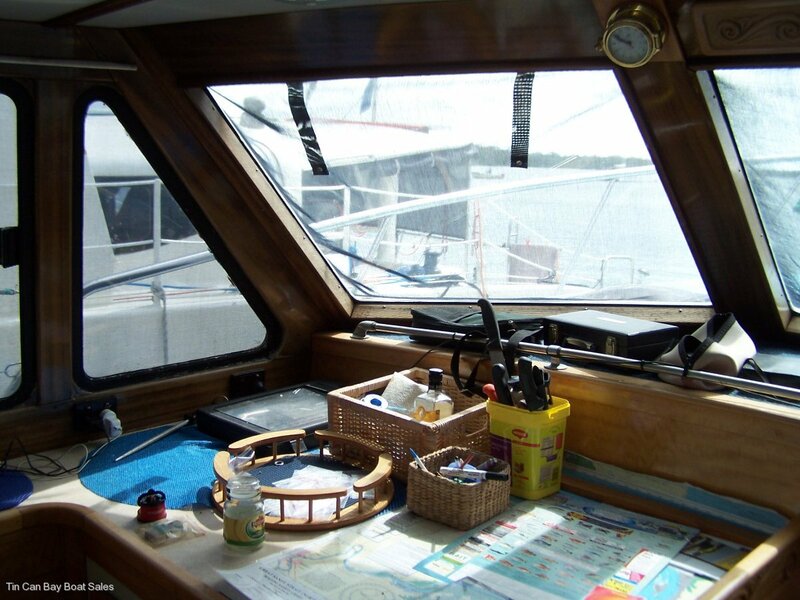 Open plan layout in saloon, galley and helm area gives the impression of a much bigger boat. 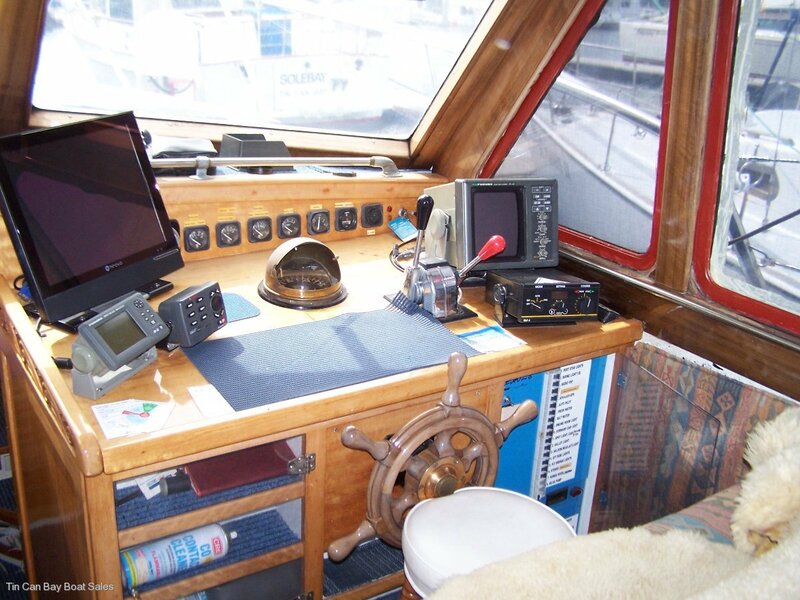 Good visability at both helm positions. 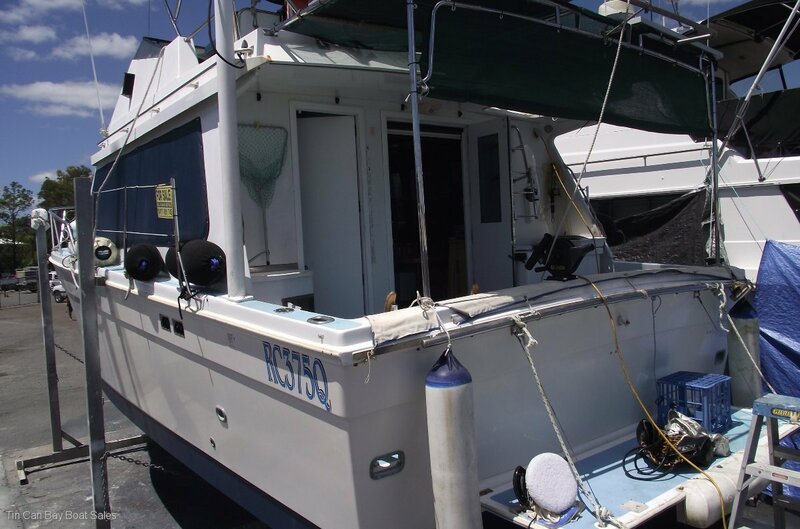 12m berth @ Tin Can Bay Marina with lease till January 2024 also available. 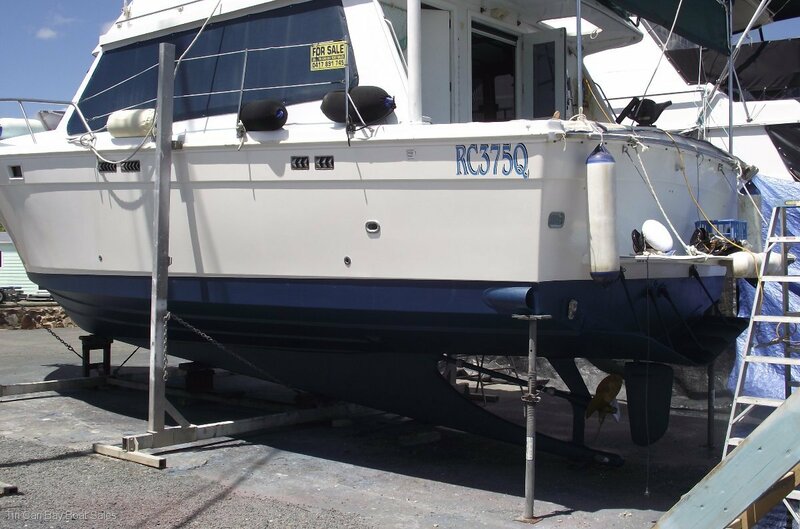 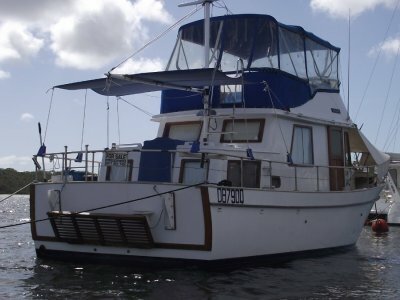 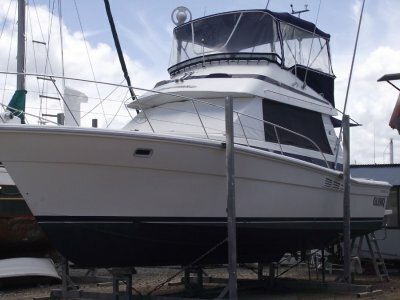 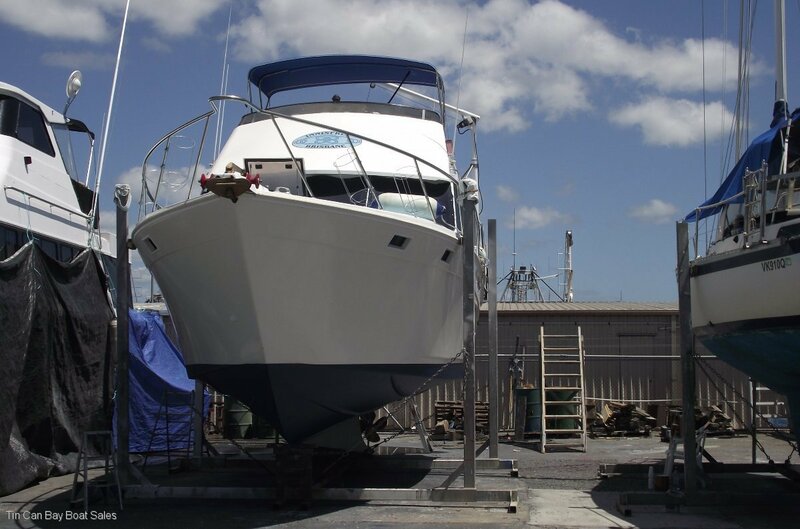 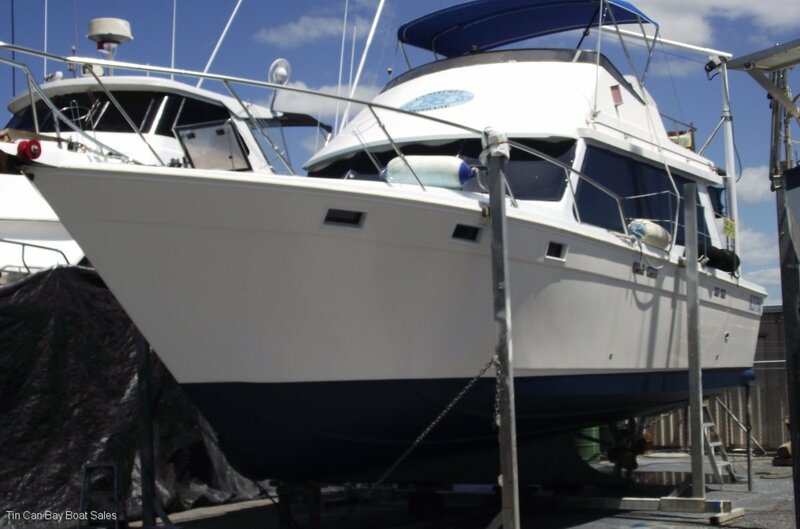 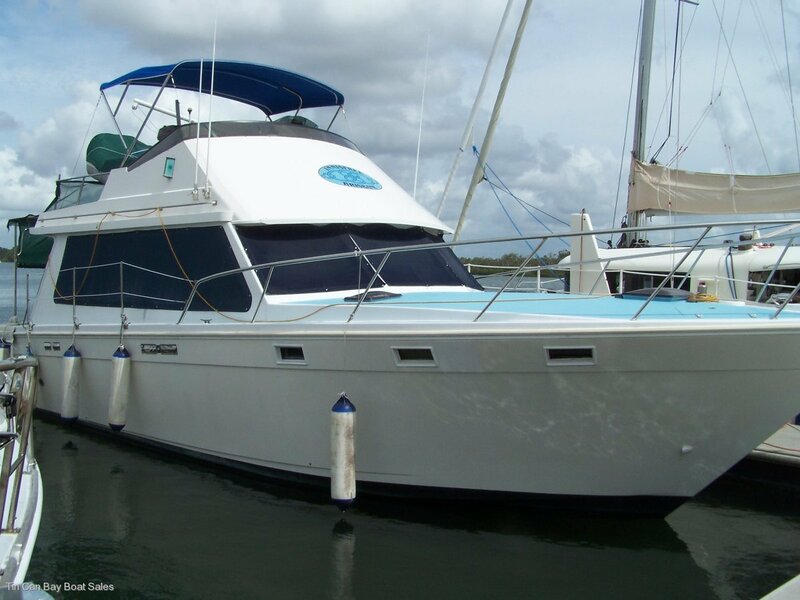 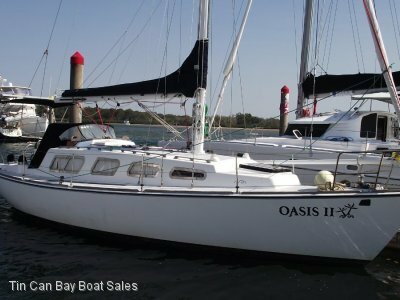 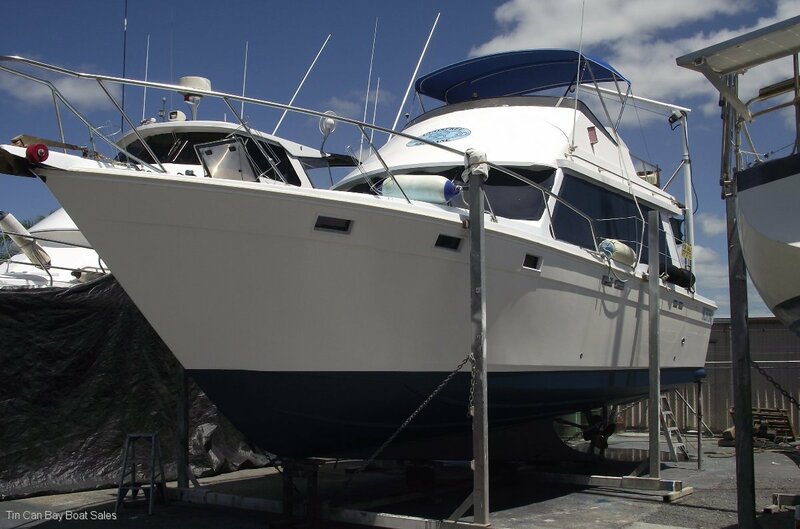 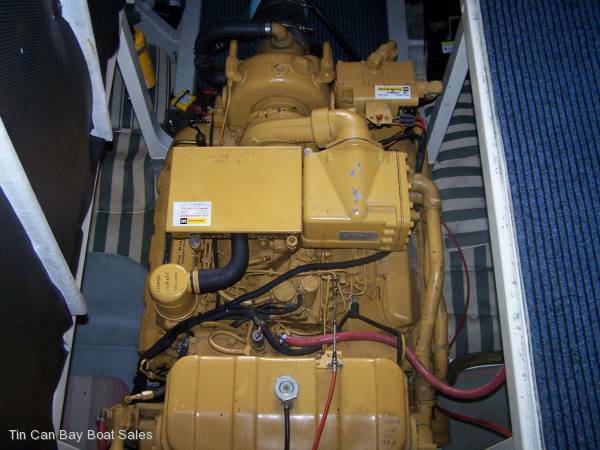 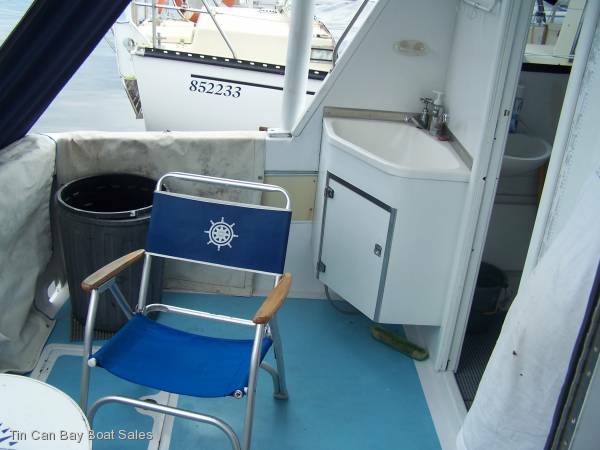 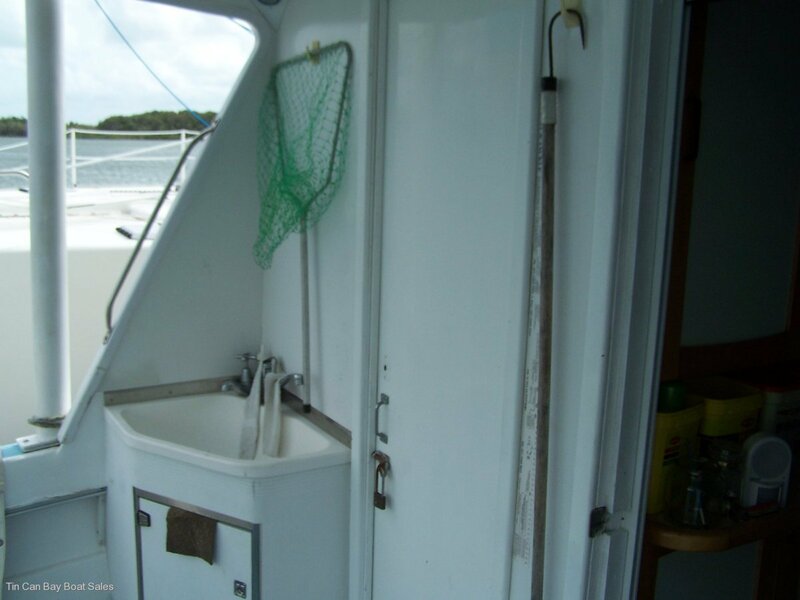 Strong, honest cruising boat in good condition.